Ace Norton: Mr. Brainwash - Yo! Venice! Peep the latest short from Venice director Ace Norton which features Thierry Guetta (aka Mr. Brainwash) at his Los Angeles art show earlier this year. The piece is part of the Thrash Lab’s “Rituals” series which features artists and musicians sharing their pre-performance rituals. 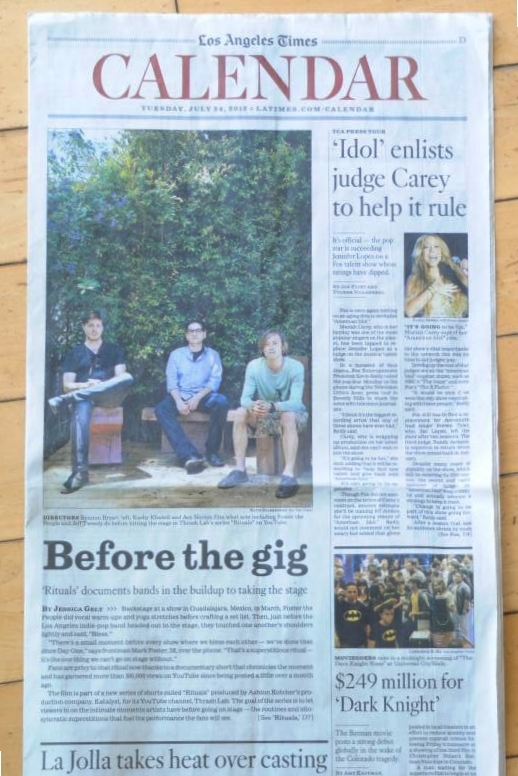 The director and the series were featured in the LA Times earlier this month. Norton is currently attending a hot air balloon flight instruction school in the hopes of becoming a certified professional balloonist.